Hi there! 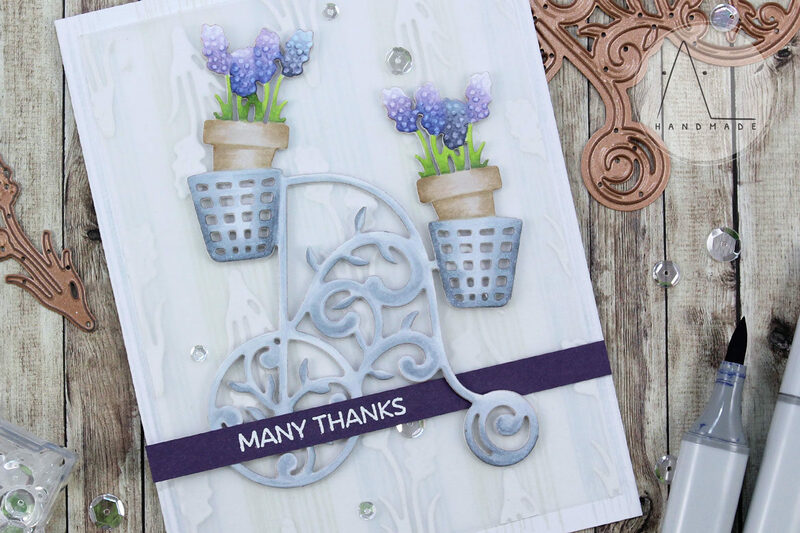 Today I have a new thank you card to share with you, highlighting the Lavender Trike Etched Dies and the Eau de Lavande Label Etched Dies – two amazing Shapeabilities sets from Spellbinders. I started to work on this card by stamping a custom background in two tones directly on a card base, using one of the stamps from the Distressed Patterns Set by My Favorite Things. I stamped them alternately with Artic and Morning Frost dye ink from Altenew. Then, I die-cut several lavender accents (from the Eau de Lavande Label Etched Dies) out of white cardstock and adhered them in columns on a vellum panel. Once I was done with it, I trimmed it down and mounted it on my card base. 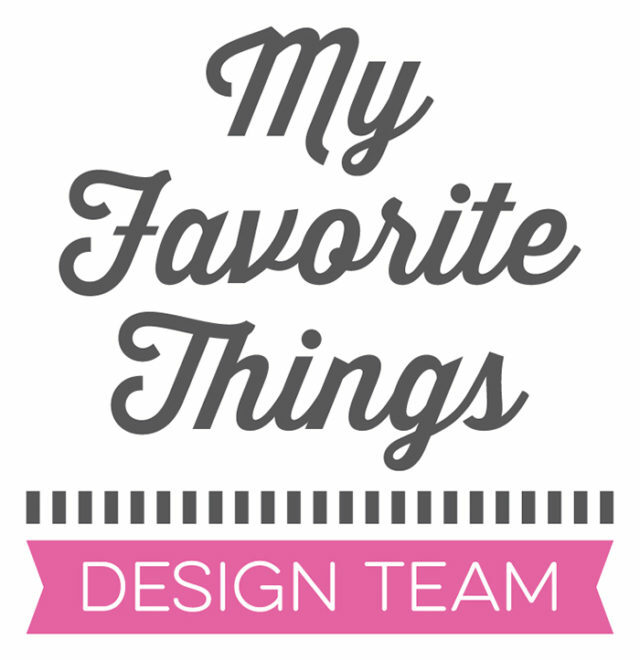 Next, I used the Lavender Trike Etched Dies to die-cut the trike several times out of white cardstock. I die-cut the last layer out of Copic friendly paper and colored it with Copic markers, using my colorless blender to add some texture on the lavender blooms. Then, I stacked up all the die-cuts for dimension. I heat embossed the sentiment in white on a strip of purple cardstock and mounted it onto my card along with the trike. The sentiment is from the Geometric Greenery Set by My Favorite Things.